Attractive, flattened seed heads. Plant in masses in shade to stabilize soil. Will increase readily from seed. Seed: Best germination can be achieved with a short period of cold, moist stratification. Sow outdoors by march or stratify with moist sand/potting soil in the refrigerator for 2 to 4 weeks. Q: How difficult is this grass to start from seed, and what time of the year should this be done? Also, does anyone know how many square feet an ounce packet would cover? Thank you, and have a nice day. A: This grass will benefit from some cold, moist stratification. Either sow it outdoors where you'd like it to grow no later than March, or mix the seed with moist sand or potting soil and store in the refrigerator for 3 to 6 weeks before sowing. If stratification is not an option, we've had luck soaking the seed in water overnight before sowing. 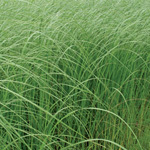 An ounce of river oats should cover about 500 square feet. Q: do you offer seeds? could they be planted in fall for next spring? A: We usually harvest River Oats seed in mid-October and offer it for sale a month or two later. 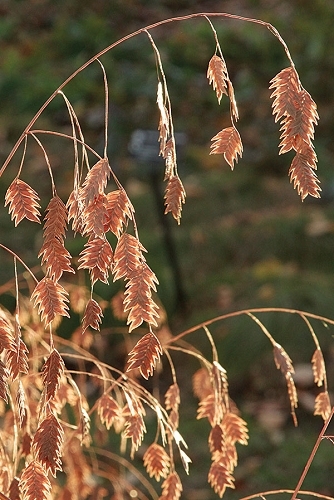 It can be planted in late fall, winter, or early spring.